Important: This spring is not designed to work with any year Kawasaki factory lever/doohickey. Drill the anchor hole about 5:30. Here is a video Watt-Man made of how I hook the end of the spring in place. 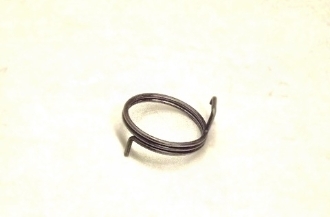 Be sure to pull the spring around in an arc as you hook it in the slot.